When Robert Palmer sings, “You can’t sleep, you can’t eat. There’s no doubt, you’re in deep,” I can’t help but wonder if he’s “Addicted to Love” or about to miss a deadline. If you’re a freelance writer, odds are you will miss a deadline at some point in your career. Whether you misjudge the breadth of a project, get sick, or simply forget to add an assignment to your task list, missing a deadline can be as panic inducing as forgetting a Valentine’s Day gift for your sweetheart. As with personal relationships, honesty is the best policy when missed deadlines are the subject of discussion. 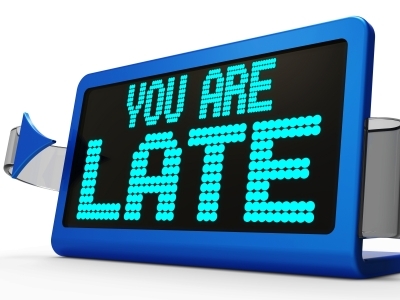 If you didn’t complete an assignment on time, reach out to your manager as soon as possible and admit your mistake. Don’t drown your confession in excuses, flowery words, crocodile tears or pleading. Plainly state why you didn’t meet your established goal, why you didn’t bring it up sooner, and then provide a solution that includes a definitive article submission date. If you know ahead of time that you’re going to miss a deadline, don’t sit on your hands and watch the clock tick down. Notify your boss immediately! Asking for an extension or help is far better received than missing your deadline with no explanation. Okay, you missed a deadline – a work deadline – but now isn’t the time to play 18 rounds of the blame game. Dwelling on your mistake only accomplishes one thing: holding your productivity hostage. And let’s not forget, you still have a project to complete. Being accountable for your actions is just as much about owning your errors as it is learning when to forgive yourself and move on. Rather than kicking yourself, focus on what will move you forward. Try a new time management strategy, seek encouragement from a colleague or simply realize you still have something to prove. A broken deadline signifies broken trust. This doesn’t mean your working relationships are beyond repair, but it does cast a shadow of doubt over your dependability. To help repair the damage done, keep lines of communication open. In fact, I recommend over-communicating. After you have outlined your new work strategy, keep your manager in the loop with progress reports as well as your solutions for preventing missed deadlines in the future. Getting into the habit of missing deadlines is the fast track to unemployment. Even worse, a pattern of missed deadlines could reverberate throughout your entire career: in addition to receiving less-than-glowing references, this type of unprofessionalism typically creates a work reputation more damaged than any broken heart. Have you ever missed a deadline? How did you handle it? Please share your experience in a comment below. Kimberly is the Social Media and Content Manager at Virtual Vocations, your one-stop shop for freelancers looking for legitimate telecommute jobs. Connect with Kimberly on Facebook and Google+. Most of the time when I submit my work to a client, it is accepted the first time. There are times, though, when I have a run where several pieces are sent back. During these times, I start to wonder about the quality of the work that I do and I feel a bit insecure about continuing to do work for clients. I think that to be involved in creative work always involves a certain amount of insecurity. You can’t just show up and expect to get paid; instead, you have to not only produce quality work, but it has to be reviewed and accepted before you receive any money. There are times when it can be stressful – especially when you get a number of requests for revisions in a row. If you are able to separate your self from your work it can be easier to deal with these situations. Yes, you put part of yourself into what you write (which is why you are good at what you do), but when a client asks for a change he or she is not rejecting you. It’s about the work, and the client has the right to get what he or she wants. Everyone gets these requests, and in some cases there is more than one round of edits. You may have produced the work, but the request to make changes isn’t about you. As long as you have followed the instructions properly, just put it down to part of the job and make the changes the client has asked for. Get up and stretch, take a walk, and then come back to work on the revisions. You will have a better perspective on the assignment by taking a break first. I love writing. It’s always been one of my passions. I want to go to college but can’t afford it and am definitely not scholarship material. I want to get a job as a freelance writer to earn some money for at least a two year college. I’m graduating this year and I can’t stand thinking I might not be able to go to school anymore. Will you please give me some advice on what I should do? I’d really appreciate it. It is possible to make enough money from writing to help you pay for school, but I should tell you that there is a difference between writing for yourself and taking on assignments for clients. You will need to be able to follow instructions carefully when doing paid writing work. If you are going to be graduating this year, I would suggest that you find some non-writing work first and then start writing part-time. That way, you can give yourself some time to get a feel for whether this is something that you would like to pursue professionally while not putting all of your eggs in one basket. There are many different ways to get paid to write, and I would suggest that you check out the information here at FreelanceWritingGigs, as well as other sites, to learn as much as you can before you start looking for work. You may have to try a few things before you find a type of writing that is a good fit for you but if you are passionate about words and willing to work at it, you can reach your goal. Good luck! 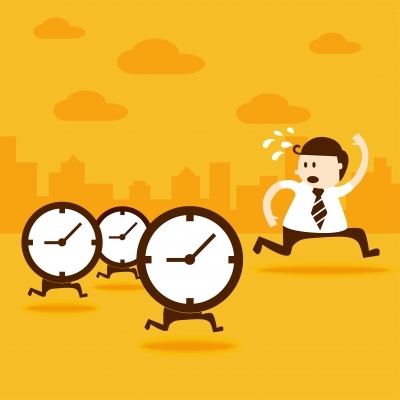 What is an appropriate time to wait before following up with a potential client? I’ve made a pitch and had a good initial discussion with the client but haven’t heard anything further. I don’t want to appear too pushy, but I also don’t want to let this opportunity get away from me. I can appreciate that if you have had a positive response from a prospective client you want to get the project firmed up right away. Even if a client is receptive to your pitch, it doesn’t necessarily mean that he or she will be ready to get the project underway immediately. In a case where there are several people who must be consulted to approve the project, it will take longer than if the decisions are being made by one person. You will want to follow up so that you stay on the client’s radar, but you don’t want to be in touch so often that you appear desperate for work. If you haven’t heard back after the initial positive response in a week or two, send a polite follow-up e-mail or pick up the phone to reach out to the client to find out what the status of the project is. I’ve been contacted by a prospective client who wants to arrange a time to meet. I’ve been working remotely for some time and the idea of sitting down for an interview is really intimidating. Can you give me some tips? First of all, congrats on being invited to meet with a prospective client. I can understand that this is exciting but a little uncomfortable as well, but you need to keep in mind that this is not quite the same thing as a job interview. You are sitting down with someone to have a discussion about whether you can work together to help the client achieve his or her goals. In the time leading up to the appointment, learn as much as you can about the client and his or her business. As you review the web site and any other information you can gather, make detailed notes and go over them several times before the meeting. As part of your preparation, try to identify specific areas where your expertise can benefit the client. The person you will be meeting with may have some ideas about how you can help, but it doesn’t hurt to come to the table with some strategies of your own. Keep in mind that while the client may be interviewing you, this is also an opportunity for you to decide whether you want to work with the client as well. Have a list of questions of your own prepared so that you can understand the scope of the work the client needs, as well as his or her professional working style. If you can get away from the idea that this is an audition and think of it as a discussion, you may feel a bit less nervous. Good luck! How do I Prepare a Writer’s Resume? I’ve seen ads for freelance writers where the prospective client asks for a resume. How do I prepare a writer’s resume for freelance clients? A writer’s resume isn’t some mysterious document; it’s just a resume for a writer. The idea of being a self-employed business owner and having to prepare a resume strikes me as being a bit unusual. If you were hiring someone to look after your lawn, fix your broken toilet or replace your roof, you wouldn’t ask to see a resume, so why would a freelance writer have to provide one? Since clients can and do ask for a resume from a freelance writer, it’s a good idea to have one prepared. This is not something you should do once and then forget about; ideally you review it regularly and update it as you gain experience. Where some people tend to get confused about preparing a writer’s resume is how to deal with their professional experience. You can list it on the document like any other professional experience but instead of including an employer’s name you can state that you are are a “Self-employed Freelance Writer (Editor, Blogger, Communications Consultant, etc. ), along with the relevant dates. Do you name your clients on your freelance writer resume? It depends. I would suggest naming names if the work is attributed to you. For ghostwriting clients, you may want to be more discreet and describe the type of work you have done rather than sharing who you have worked for. Some people who use a writer’s resume prefer to use a functional format that focuses on their skills, as opposed to a chronological one. Whichever format you choose, make sure you proofread it carefully before submitting it to a prospective client. It’s also a good idea to have someone else go over your resume to check for typos and other errors you have have missed in your review. I have been following an interesting discussion on another forum where someone asked whether there was job security in freelance writing. First of all, the words job security and freelance writing really shouldn’t be put together in the same sentence. When you are providing services on a freelance basis, you are not working a job. You are a business owner who has clients. Can you earn a stable income through your freelance writing business efforts? Yes, you can, and if you are looking for a secure income, you are probably better off making it happen for yourself than by working for an employer. If you are working for a company, you have a single source of income. If the company is going through a rough patch or someone determines that you don’t fit in, you may well find yourself being told that your services are no longer required. It doesn’t necessarily matter that you have been doing your job well; if the company is looking to cut costs, you may be let go anyway. A freelance writer ideally has multiple sources of income. It’s not the best idea to have only one client or structure your business so that one client is responsible for providing you with a large percentage of your income. That way, you won’t take as big of a financial hit if that client doesn’t have steady work for you or you choose not to work with him or her anymore. There is no security in working for an employer, no matter how long you have worked there. The days when someone started his or her working life with one company and stayed there until retirement are gone. If you are looking for security, the place to start is with the image you see in the mirror. Start building the type of business you want that can help you reach the goals you have set for yourself. How Can I Market my Freelance Writing Services Online? There are a number of ways of advertising your writing services online. Your web site or blog is a marketing tool that is always available to potential clients. Make sure that your copy includes the kinds of long tail keywords that clients in your niche would use to find a freelance writer. You can also visit forums where people who are likely to hire you hang out and start participating in discussions. Make sure that you are adding something interesting when you do, rather than saying, “That’s right” or “I agree” and put a link to your web site in your signature. Over time, you will establish a reputation as an expert in that niche and the go-to person for writing work. One of the most effective ways to get more work is to ask for it when you have finished an assignment. It’s much easier to get work from an existing client than to find a new one. Unless you tell the client that you are interested in continuing to work with him or her on future assignments, the person doesn’t know. A client may think that you are too busy to take on anything else or that you aren’t interested. Send a brief thank you e-mail or note when the project has been wound up and let the client know that you would be happy to discuss future needs. What online marketing strategies have you had the most success with? Do you have a question you would like to see answered in an upcoming column? Share it in comments. How Can I Find Clients Looking for a Back Links Writer? I’m looking for companies or individuals that would like to offer pay per posts on my site. As well, I am looking to write for anyone looking for a back links article writer. Where do I advertise that I can do this? I would suggest that you start with your own web site. Make it simple for visitors to learn that you are interested in writing articles by including a “Hire Me” tab. The page the visitor is taken to should include a list of the topics you have experience with or are willing to write about. Post your contact information on the page and include whatever other details a prospective client would need to hire you. If you are accepting posts to your web site, make sure you mention it on your site as well. Another good strategy for finding clients interested in posting something on your site is to contact prospects directly. To find clients who want back link articles written, start by visiting sites that post these articles. Check out articles written on topics that you are interested in writing about and click onto the links to follow them back to the original site. Once you have this information, you can contact the site owner to offer your services as an article writer.